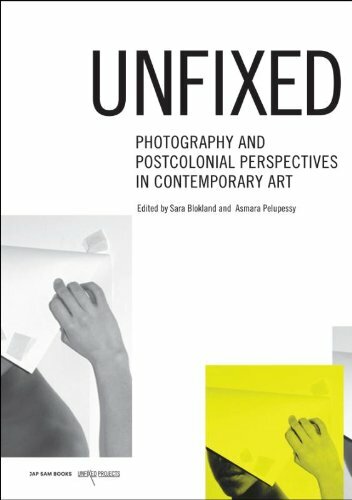 Edited by Sara Blokland and Asmara Pelupessy, UNFIXED examines photography in postcolonial perspective through the diverse critical positions of an international group of writers, artists and scholars working within contemporary art, photography and cultural analysis. The publication is the finishing work of a multiplatform project that included an artist residency, exhibition, workshop and symposium. As a whole, UNFIXED engaged topics of cultural identity and history together with strategies of artistic research, photo theory and contemporary practices around making, using, studying and writing about photographs. Produced especially for this publication, UNFIXED presents new voices and visions in the form of nine visual and textual essays. These essays take unique stands towards photography and its history through an unconventional range of approaches and styles. Together with documentation of the different stages of the project, the essays explore topics such as the migration and circulation of photography, vernacular photography, archives, memory, diaspora, self-representation, appropriation, visual sovereignty, exoticism and cultural protocol. Investigating how photography can be 'unfixed' through contemporary conceptual, theoretical and visual approaches, UNFIXED presents new critical perspectives on photography in relation to the cultural conditions of postcolonialism.